Bill Pullman may be back for Independence Day 2, but it’s not going to be as the leader of the free world. 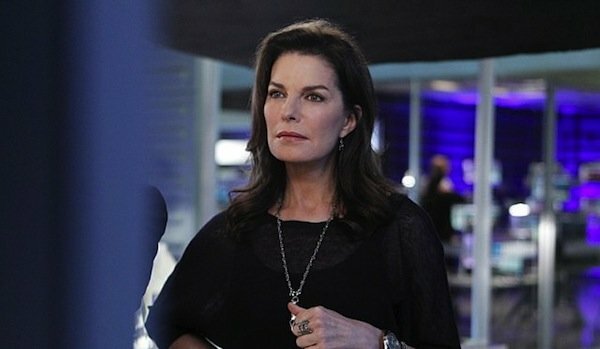 As it turns out, in the 20 years since Roland Emmerich’s original alien invasion disaster flick, the United States has elected a new President, and it’s Sela Ward. Pullman will still play the same character, Thomas J. Whitmore, but according to Deadline, it’s Ward who resides in the White House, or whatever structure they construct to take the place of the building that was so memorably leveled by extraterrestrials in 1996. Ward will reportedly play President Lanford, no first name at the moment, who now sits in the big chair when the action commences on the long in development sequel. This is not Ward’s first time in an epic scale disaster movie, nor is it her first time working with Emmerich. The two teamed up back in 2004 on the sudden ice age film, The Day After Tomorrow, which Emmerich both wrote and directed. Independence Day 2 is set 20 years after the events of the first movie, which is a long time, so it makes sense that there would be a new POTUS in place. But given what we know of the plot, it also makes sense that Pullman’s character will play a role in the film. Since the events of Independence Day, humans have been preparing for another visit, and from what has been said, that finally comes to pass, as a new force has come after the advance scouting parting that caused so many problems last time. Pullman’s Whitmore played a prominent part in the human victory in the first film, so it is logical that the new President might seek to enlist his council in the matter. He’s an expert after all. As for the rest of the cast, Jeff Golblum, Vivica A. Fox, Judd Hirsch, and Brent Spiner are all set to reprise their roles from the previous film, though franchise star Will Smith is not on board. Independence Day 2 has gone through a number of proposed incarnations over the years—at one point, two sequels were going to shoot back-to-back, and there have been reports that two scripts were commissioned, one for if Smith returned, one for if he didn’t. Guess which one they went with? There are also a slew of newcomers this time around. Jessie Usher plays the now-grown stepson of Will Smith’s Captain Stephen Heller character, while Liam Hemsworth has also signed on in a lead role. The Guest and It Follows star Maika Monroe will play the daughter of Thomas Whitmore, and a potential love interest for Hemsworth’s character. The star of Lars Von Trier’s Nymphomaniac, Charlotte Gainsbourg, has also joined what promises to be a very different movie from that one. Production on Independence Day 2 should begin this summer, and 20th Century Fox has an eye on a June 24, 2016 release date.